Stores like Macy’s, Banana Republic, and Nordstrom have all reported dismal earnings for the past quarter. One of the issues is that it’s increasingly difficult to convince customers to pay full price for a product in the face of incessant discounting. 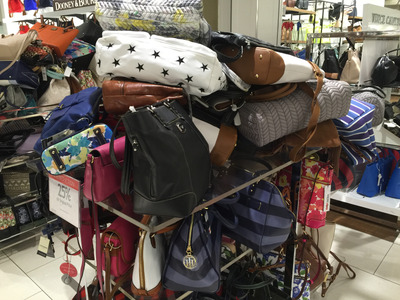 But another problem is hindering these stores’ comebacks as well: they’re messes. At a recent visit to Macy’s flagship in Herald Square in New York City, the store was in complete disarray. Although Macy’s sells premiere products, it’s difficult to want to throw down lots of money if the store looks like the photo above. 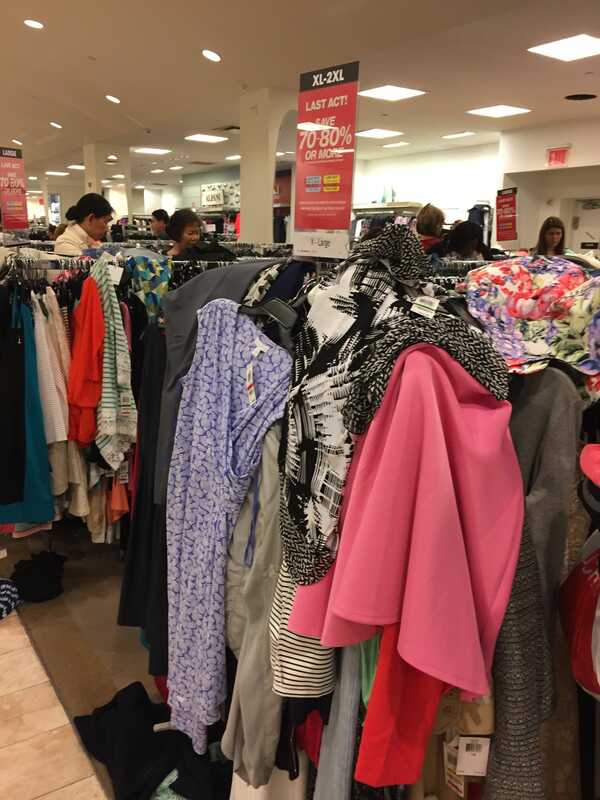 Though other Macy’s stores may not be as cluttered as this one, it’s important to note if Macy’s flagship keeps up this level of clutter, it may lose its status as a tourist destination. Interestingly enough, in November, CFO Karen Hoguet pointed to a dip in tourist traffic as a reason for a sales decline. Of course, part of the problem is that Macy’s has an outlet section inside of its flagship store called “Last Act!” It’s the antithesis of prestige. Clutter, in general, just doesn’t attract consumers. “To my mind, there are three issues: ease, inspiration, and image,” Neil Saunders, CEO of consulting firm Conlumino wrote in an email to Business Insider. On the ease front, what matters to consumers is being able to quickly find and select product. Form our research, we know that consumers are increasingly put off by a “sea of merchandise” where they need to do the work to find the products and ranges that are relevant to them. On the inspiration front, consumers will engage with things that interest them. 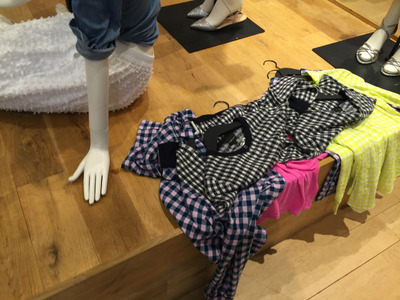 So to generate sales retailers need to ensure they are making suggestions or giving prompts. Displaying a whole rack of dresses is far less effective than displaying a dress with outfit suggestions like shows and a handbag. 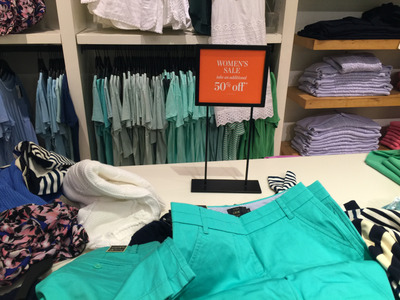 For the record, it’s not easy or inspirational to dig through a Banana Republic clearance rack, pictured below. 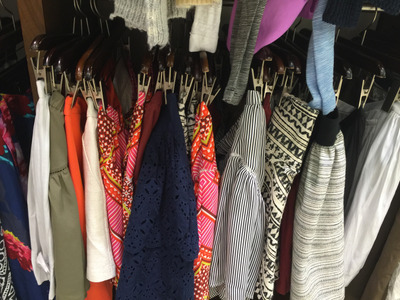 Mallory Schlossberg/Business InsiderA sale rack at Banana Republic. And while J. 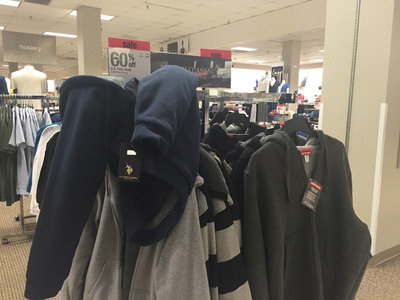 Crew displays outfit suggestions in an attempt to make the clothes more attractive to consumers, the clutter surrounding the display likely turns them off again. “On the image front, retailers need to understand that how their shop floors look and feel directly affects their brands. When there are massive discount areas, as is the case in Macy’s and Sears, for example. 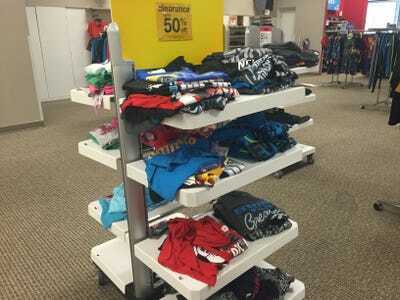 This gives the perception of a discount culture, and it sets the wrong tone for the rest of the store,” he wrote. Unfortunately, that’s exactly what Macy’s and Sears are doing in the photos below. “The image is of ‘pile it high, sell it cheap’ which, in the case of those retailers, jars with the business model and is at odds with other areas of the shop. This has become a bigger problem over recent years,” Saunders wrote. 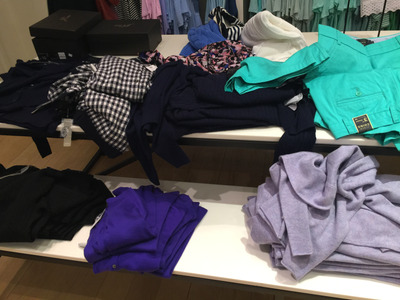 It’s yet another possible reason for consumers not to return to visit these stores — a problem, considering that they’re largely not spending money on clothes. The imminent rise of Amazon Fashion should also be a telling sign that consumers have less and less of a reason to shop in typically mall-based, physical stores. In other words, consumers need a real reason to go into stores, and many of them aren’t making a compelling case.